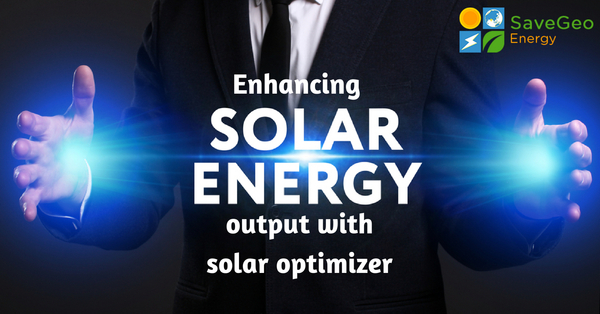 What is Solar Optimizer and how is it Beneficial to You? Are you planning to switch to solar energy? 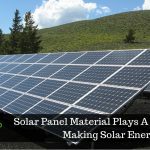 If so then it’s important to know what alternatives are convenient in the market before opting the solar equipment, as different material suits various situations better. Solar modules in a group allied in a series like batteries producing optimally when all components perform the same. But the question that arises in an individual’s mind is what happens with the change in seasons or shade covered with leaves cover-up a part of a component, causing it to under-perform? The result is definite that the module will not only produce less energy, but the will cause the array to lack its power. As the performance of the other modules will pull down by constricting the flow of energy through the array. This is where Solar Optimizer comes in picture. A combination of a micro inverter and string is known as a solar optimizer. What’s more, it is a module-level power electronics (MLPE) device. By adjusting DC characteristics to maximize energy output and continuously measuring the maximum power point tracking (MPPT) of each solar panel, this device increases the production of solar panel system’s energy. Through a monitoring system to facilitate any necessary solar panel operation and maintenance, the panel optimizers relay performance characteristics. Power optimizers are Direct Current (DC) converters attached at the module level were replacing the traditional junction box, manufacturers can connect them to the module in the factory or installers can join optimizers on-site. What is more, by allowing each element to function at its maximum power point tracking (MPPT), power optimizers can correct for module “mismatch” and then convert the energy to the optimal voltage and current for the array. As a result, it enables the entire array to harvest more energy. Therefore, when your solar system falls on multiple roof surfaces with different orientations or where shading is prevalent, this smart module technology proves to be ideal for any circumstances. The power optimizer comes into the scene when solar photovoltaic modules that are capable of generating power in direct relation to how much sun strikes them, which means energy generated from components also oscillates depending on how much sun is hitting the solar panels. This in turns puts surplus stress on the system inverter and wiring that converts DC power produced by a component to more readily usable AC power used in many household appliances. 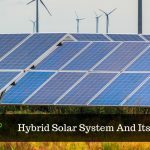 While micro-inverters happen to generate the DC power from a PV module to AC power at the module level, the technology is usually a little more expensive than using a string inverter. In a single electrical converter, the 10s to the 100s of PV modules are tied together or strung to one electrical converter where MPPT is applied. However, on a string, the output is lessened by the lowest performing modules, and if it is tied together, the electrical converter can’t maximize the power from each element. In compare to micro-inverter, the solar optimizer is designed to be cost-effective and proves ability to replace a module’s junction box. Where it is added on as an aftermarket piece of the system, wires to other PV modules or the inverter. In a group, the smart module technology can add to each module. It can also be wire to many modules in a range to optimize the power from each of them, depending on the type of power optimizer. A series of solar optimizers – DC optimizer for the past several years forage electricity to the range of electrical converters or depending on the inverters system’s size. Therefore, the inverter formerly converted the power to AC electricity for use before sending the power on the grid, residential area or industries. 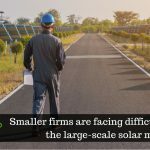 Therefore, in most of the utility-scale solar designs, commercial and residential areas the Direct current optimizers have become an essential technological ingredient for the past several years. Moreover, one can reduce the power loss from shade obstructions by utilizing modules integrated with this technology. In the next blog, we will be consecrating on solar optimizer as a smart module technology and innovation. Go solar with SaveGeo Energy, one of the fastest growing solar solution providers in India, offers solar power engineering, generation, and selling with mass-scale deployments in a cost-effective, risk-controlled and grid-suited approach.